By CNN'S ARTEMIS MOSHTAGHIAN AND NICOLE CHAVEZ CONTRIBUTED TO THIS REPORT. 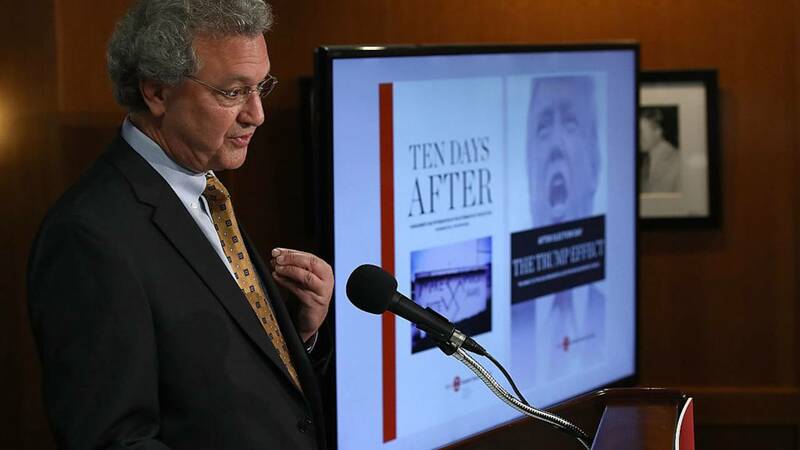 Southern Poverty Law Center President Richard Cohen is stepping down from the nonprofit activist group, less than two weeks after co-founder Morris Dees was fired. "After more than 30 years at the Southern Poverty Law Center, I've decided to step down," Cohen said in a statement Saturday. "Other legacy civil rights organizations have transitioned to a new generation of leaders, and I believe that we should, too." Cohen's resignation follows the March 13 ouster of Dees, a co-founder of the Alabama-based SPLC that is known for tracking civil rights and hate crimes in the United States. "We've heard from our staff that we need to do a better job of making sure that our workplace embodies the values we espouse -- truth, justice, equity, and inclusion," Cohen said his statement. "We're going to do that, and we have brought in Michelle Obama's former Chief of Staff, Tina Tchen, to help us do it." Last Monday, the SPLC announced "an immediate, top-to-bottom external review of our workplace culture and our past practices and policies." "The events of the last week have been an eye-opening reminder that the walk towards justice must sometimes start at your own front door and force you to look at your past so you can improve your future," SPLC board chairman Bryan Fair said in a statement at the time. An SPLC source told CNN Friday that Cohen believed stepping down would help the group implement findings of a workplace review being conducted by Tchen, a lawyer who leads the Workplace Cultural Compliance practice at Buckley LLC. Tchen's biography says she counsels organizations "on issues related to gender and racial equity, sexual harassment, and structural barriers to diversity and inclusion." "(Cohen) believes moving his departure forward will allow an interim successor to focus on shepherding the SPLC through this review process and implementing Tina Tchen's recommendations as soon as possible," the source said. According to the SPLC website, Cohen joined the organization as its legal director in 1986 and became president in 2003. Tchen will continue to report to Fair and the board's task force overseeing the review, the source said. "Every workplace, including social justice organizations, must work hard to create a workplace culture that fully reflects their values and priorities, including when it comes to racial and gender diversity," Tchen said in a March 18 statement issued by the SPLC. When Cohen announced Dees' departure, he did not give a specific reason for the move. But Cohen noted that the SPLC "is committed to ensuring that the conduct of our staff reflects the mission of the organization and the values we hope to instill in the world." "When one of our own fails to meet those standards, no matter his or her role in the organization, we take it seriously and must take appropriate action," he added. Dees, 82, was also the SPLC's former chief litigator. He co-founded the SPLC in 1971. His biography has been removed from the SPLC's website. When asked about his termination, Dees told CNN that it wasn't his decision to leave SPLC. "It's a very fine group. I've devoted 50 years of my life to the center. I wish them the very best," Dees said. He would not elaborate on how he learned about his dismissal or the reasoning behind it. He only said that he "can let (his) life's work and reputation speak for itself." In the past few years, Dees said, he mostly went to the center to make calls to big donors. He is now looking forward to spending time with his great-grandchildren. As SPLC's chief trial counsel, Dees began using courts in the early 1980s to secure monetary damages against hate groups. Courts then seized the groups' assets. In 1981, Dees successfully sued the Ku Klux Klan and won a $7 million judgment for the mother of Michael Donald, a black lynching victim in Alabama. The judgment bankrupted the United Klans of America, which had to sell its national headquarters to help pay it off.